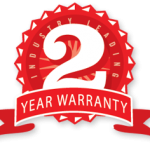 We offer a unique Two Year Guarantee so you can be assured the quality of our work will meet and exceed your expectations. We exclusively use only water based paints and never use solvent based paint. Adding one of our feature walls using wallpaper or murals can give your room impact. 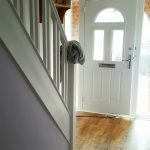 We are a friendly and reliable Watford and Hemel Hempstead painter and decorator with everyday low decorating prices. Give your little ones the bedroom of their dreams. Contact us for a detailed written quotations within 48 hours. 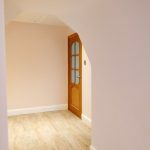 Low Cost – High Quality Painting and Decorating from your friendly and professional Painter and Decorator in Watford, Hemel Hempstead, Bushey and surrounding areas. From a simple decorative repair or touch up to a damaged wall or water stained ceiling through to the full redecoration of a whole house, rental property, office or business, we have worked on them all and have 100’s of satisfied customers. You can also see a small sample of our work here. 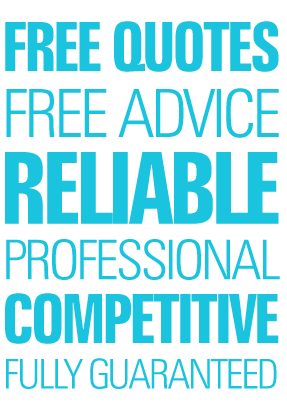 We are happy to offer free advice and no obligation quotations usually within 24 hours. We are very proud that all our interior and exterior decorating services are based on good old traditional service and exceptional value. Over 80% of our business arrives from recommendations from previous customers. Our unique 100% Satisfaction Guarantee means you do not pay a single penny up front, or throughout the project and only on the successful completion of any work carried out. We pride ourselves on the very best service for homeowners, shops, businesses, estate, rental and letting agents and landlords. Regardless the size of your decorating project, from a simple repair or patch up to painting your whole home or office, we guarantee the highest quality painting and decorating in Watford and Hertfordshire at attractive and affordable prices. ARE YOU A TENANT, LANDLORD, BUY-TO-LET OWNER OR PROPERTY MANAGER OR COMPANY? 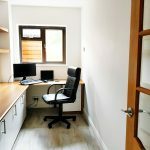 We offer all-encompassing fast turnaround ‘full service’ end of tenancy rental house, office or flat landlord’s end of tenancy rental decorating packages in and around Hemel Hempstead, Watford, Bushey and neighbouring counties. Our end of tenancy service includes deep cleaning, repairs, landlord certificates carpeting and flooring throughout Watford and Hertfordshire. 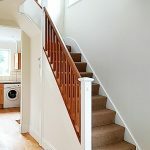 To increase letting landlords or agents returns on your income using durable lasting painting and decorating using materials designed to reduce costs, labour and keep your tenants delighted with their rental property. If you are considering refreshing or decorating your rental house or flat or reaching an end of tenancy and require a competitive quotation please contact us today or you can view a small sample of previous rental properties here. Get a free no obligation Interior or Exterior Painting and Decorating Quotation. We'll will visit your home or office at a convenient time to suit you both day and evening. We guarantee a reliable friendly service and no hard sell. Our business is based on good old traditional values and service. Regardless of the size of your project, every client receives the same high standard and attention to detail. From a small touch up to painting your house or office, you are assured that our highly skilled decorators will exceed all your expectations and all work is carried out by experienced polite qualified trades person which is guaranteed and at an unbeatable price. We are more than happy to travel further afield including: Watford, Bushey, Rickmansworth, St Albans, Berkhampstead, Adeyfield, Bovingdon, Chorleywood, Croxley Green, Kings Langley, Abbots Langley, Radlett, Chesham, Tring, Borehamwood, Oxhey, South Oxhey, Carpenders Park and North West London. Bedrooms, loft conversions, bathrooms, halls, landings, lounges, dining rooms etc all need a coat of paint or two now and again. From a coat of emulsion paint on the ceiling, satin or gloss paint on woodwork or modern, contemporary or traditional interior design styles. We breathe new life in to your spaces and rooms and transform living spaces and homes in to the house you've always desired. Great work team. We're absolutely delighted by the quality of service you gave us in decorating our twin's bedroom. We're happy to recommend you to others in Adeyfield. We'll certainly be using you again for our next bit of house decorating. It's a big thumbs-up from you. Jennifer in Adeyfield, Hemel Hempstead - Hertfordshire. 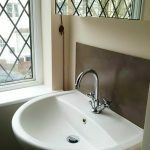 We spent the last decade stripping and removing wallpaper but now in recent years it seems we have to now hang it again as feature walls and wallpaper become popular. Modern wallpaper and feature walls can transform the look of your interior design with their vibrant colours, floral patterns, geometric trees, stripes, Disney kids characters and football team colours. Although you do not have to go 'loud and bold', subtle colours and light wallpaper can just be as effective in transforming your living room, kitchen, hallway or dining room. Unfortunately wind, rain, snow, hail (and even the rare summers!) can take its toll on the exterior of your house. 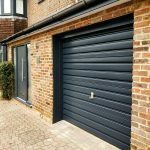 Whether you have dulling flaking paint and masonry or a total new look or exterior makeover, our experienced painters and decorators use the latest durable paints which can prolong the exterior of your home and reduce expensive home maintenance. We do not charge to visit you and provide a free decorating quotation. 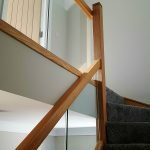 You are assured of work is to the highest standards when you receive your free no obligation quotation. 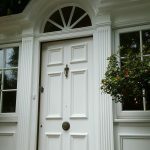 There are no commission incentives or pressure sales tactics, we will simply assess the work required, take some notes and provide a written competitive and detailed decorating quotation by email or post. Painting and decorating your home and the environment is important to us. As a conscious decorator, we have switched to non solvent based paints. Our water based paints are more durable which helps to extend maintenance cycles and saves on costs. Whether you are a small business, retail shop, property company or a buy to let rental property landlord with one or more houses or apartments we can offer excellent contract rates. We work efficiently and within your price range and budget to complete decoration and refurbishment within the strictest of deadlines. 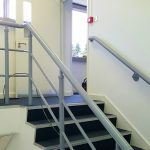 So if you have a tenant about to vacate one of your properties or your office or commercial premises requires freshening up, why not contact us today for a fully detailed quotation. We use the latest Airless Spray Technology which has become more popular than other traditional ways of painting such as brush and roller because it has so many advantages. Not least a higher quality near perfect finish, much quicker meaning less time on site and no brush or roller marks.